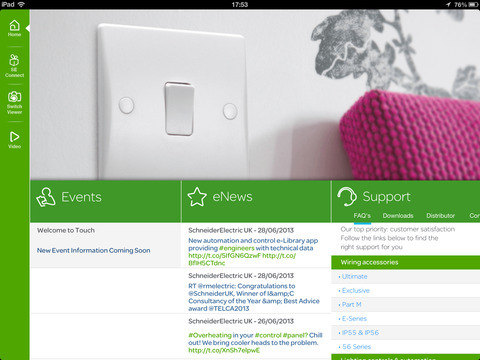 Welcome to The Finishing Touch from Schneider Electric. 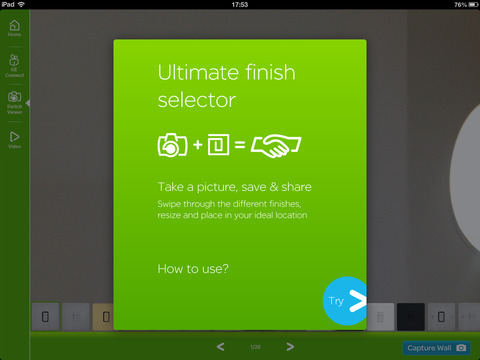 This App enables electrical installers to keep up to date with the latest events and offers. 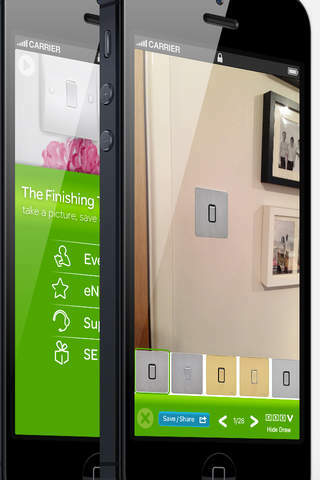 Try the Finishing Touch switch viewer; flick through the latest range of switches. See how they look placed on the wall, save and share with others via email and social media. Ultimate Installers can submit and track their invoices to receive rewards points and benefit from exclusive offers. 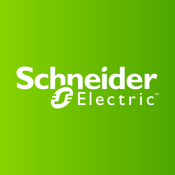 Ultimate Installer is a new scheme from Schneider Electric for those electrical contractors installing our Final Installation products from circuit protection, wiring accessories to cable management.